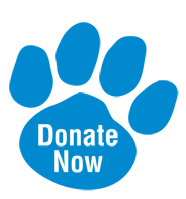 The Splashpaw Foundation, Inc.™ was founded to assist and improve the research, treatment, and care of children and pets in our community, most specifically those dealing with cancer. Both my grandfather and mother had cancer as well as both of my pets. Roma was a 16-year-old Spaniel mix and Pisa was an 11-year-old Calico. My mother and Mary Katherine’s aunt, Joyce Moore, dearly loved children, all of her students, and her dogs. During her last 2 years of battling this disease, a pregnant dog adopted my parents and presented them with 9 puppies. At first my mother was not happy about this added responsibility, but she grew to love and pamper the new additions to our family. We are convinced that those puppies helped extend her life. In all four cases, we were able to provide excellent care and make them comfortable. We hope to provide for others that cannot necessarily afford adequate treatment or care. This can include helping with the cost of treatment, medication, or research or helping a child or pet be more comfortable while they are battling this terrible disease. 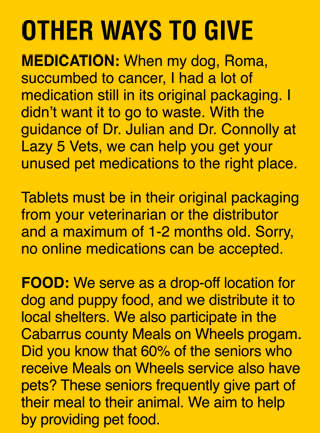 All donations stay within our local community, Cabarrus and Rowan counties. "Saving lives one puppy at a time"
The Splashpaw Foundation, Inc.™ is dedicated to the memory of our family members, which includes our pets.